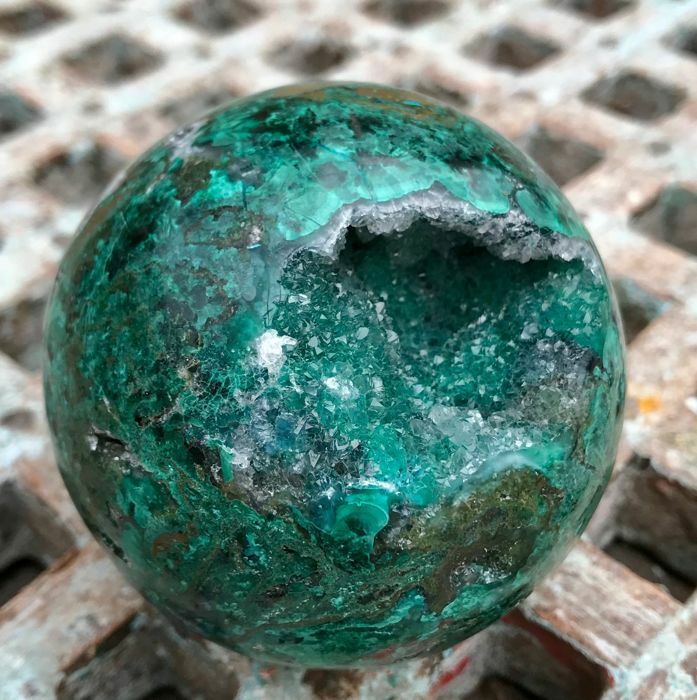 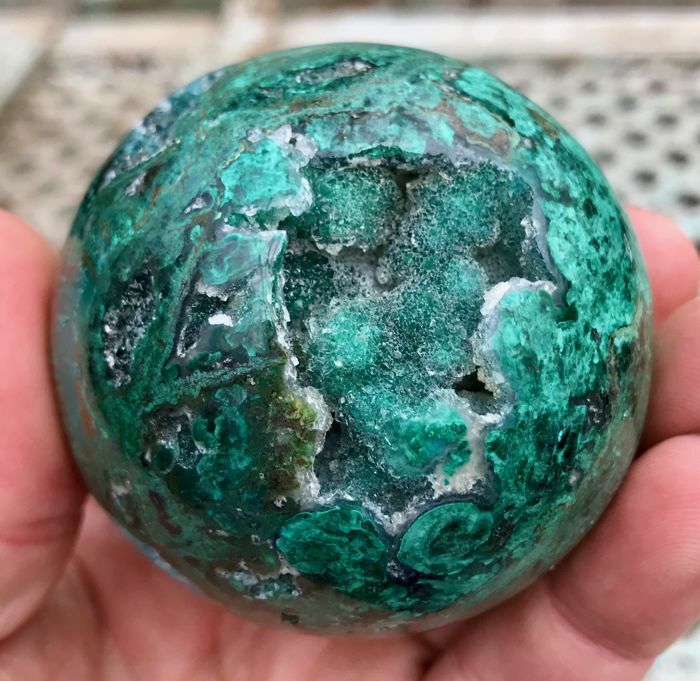 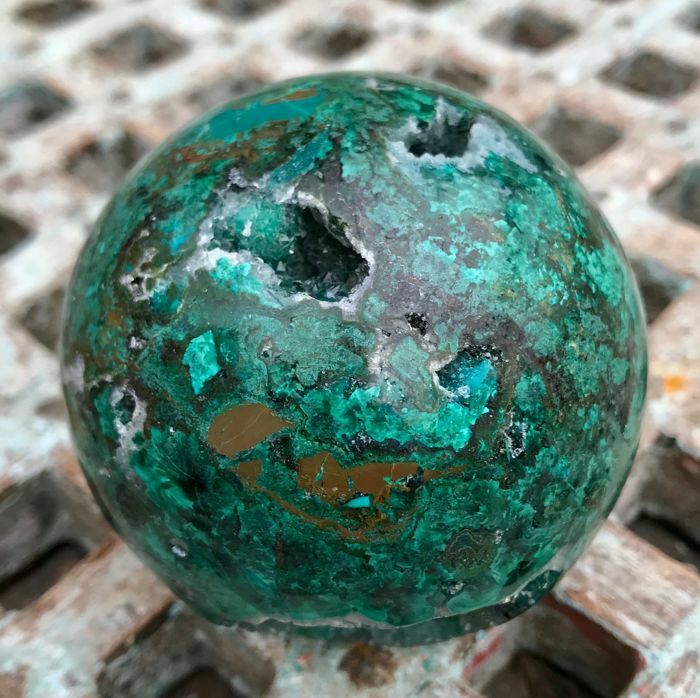 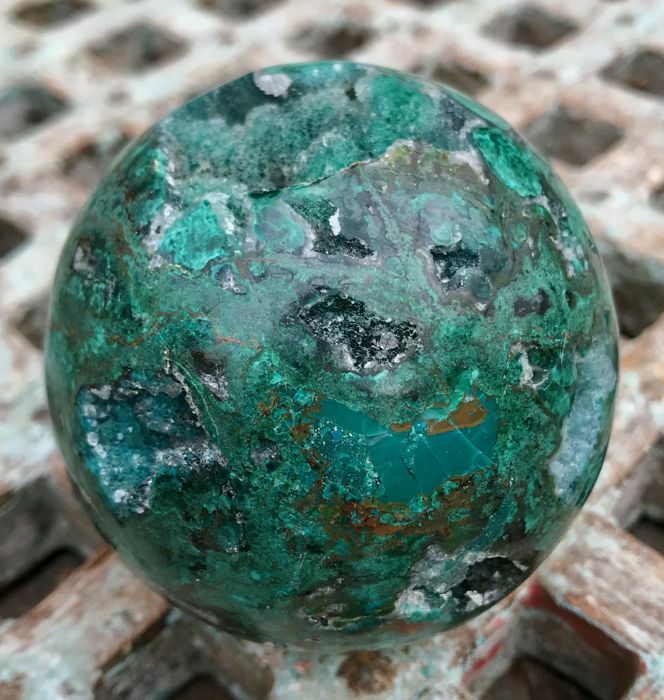 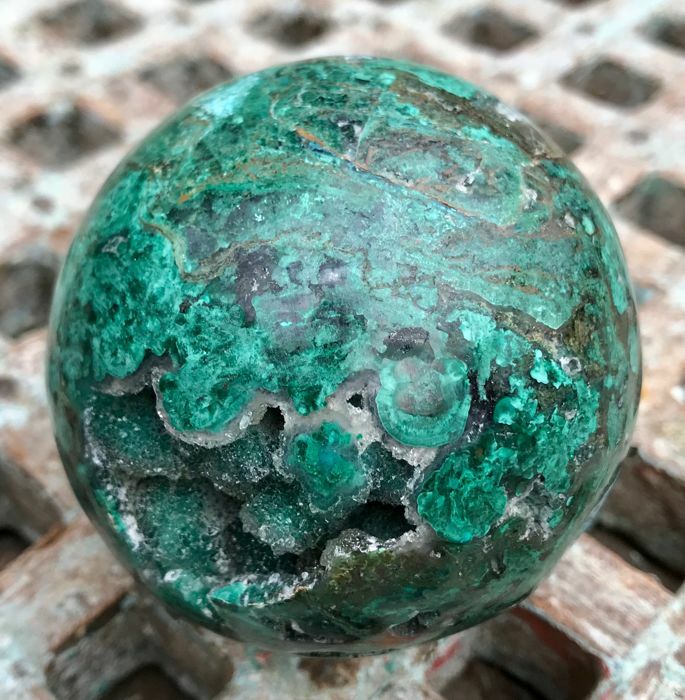 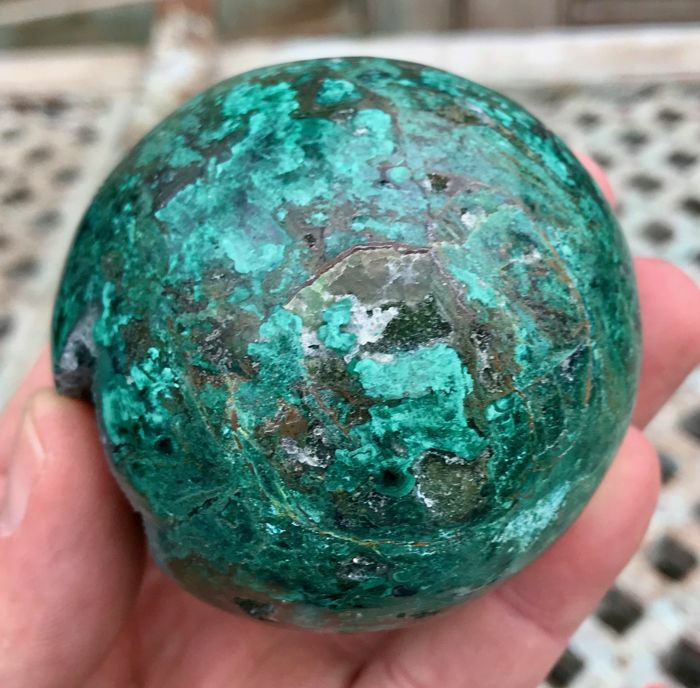 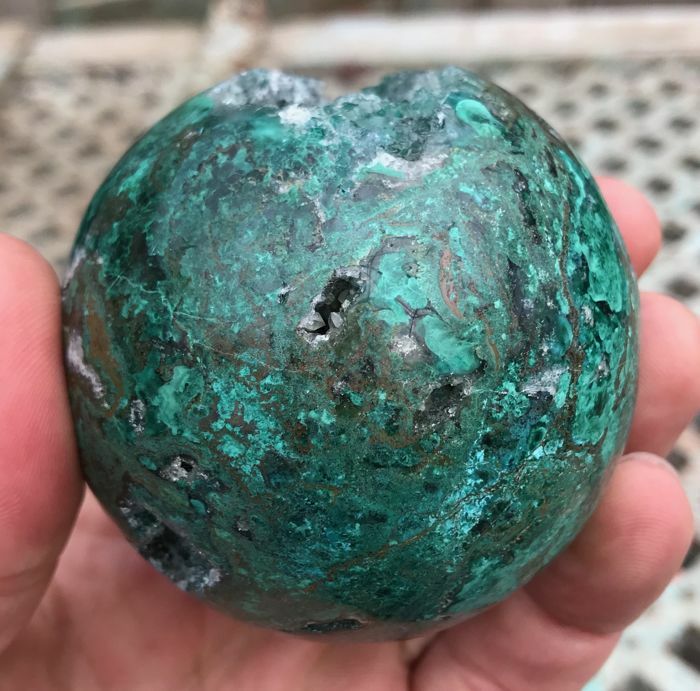 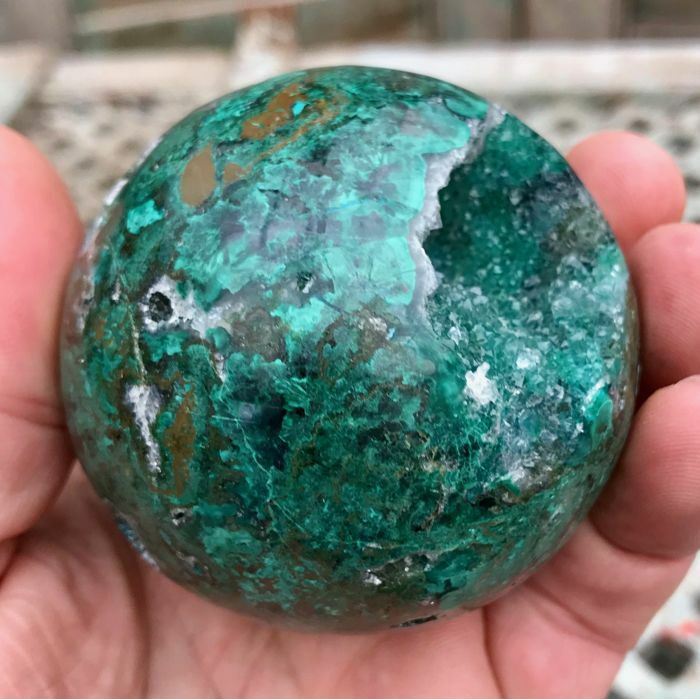 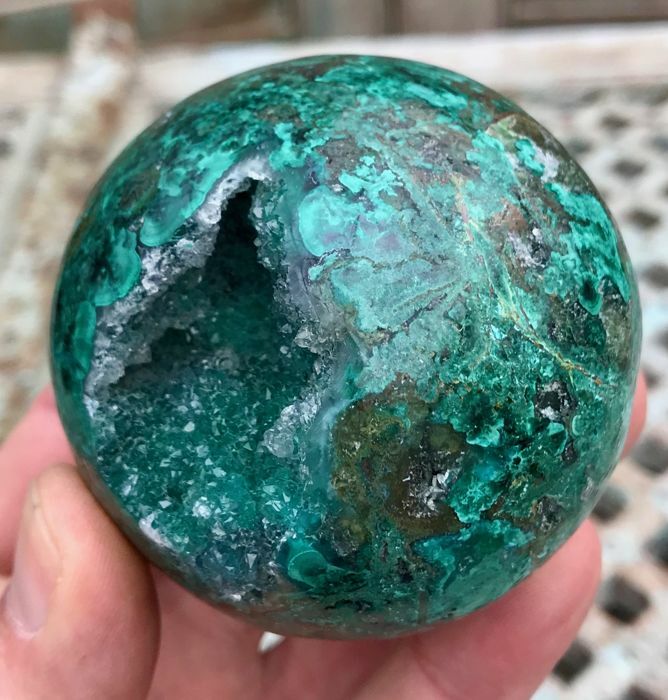 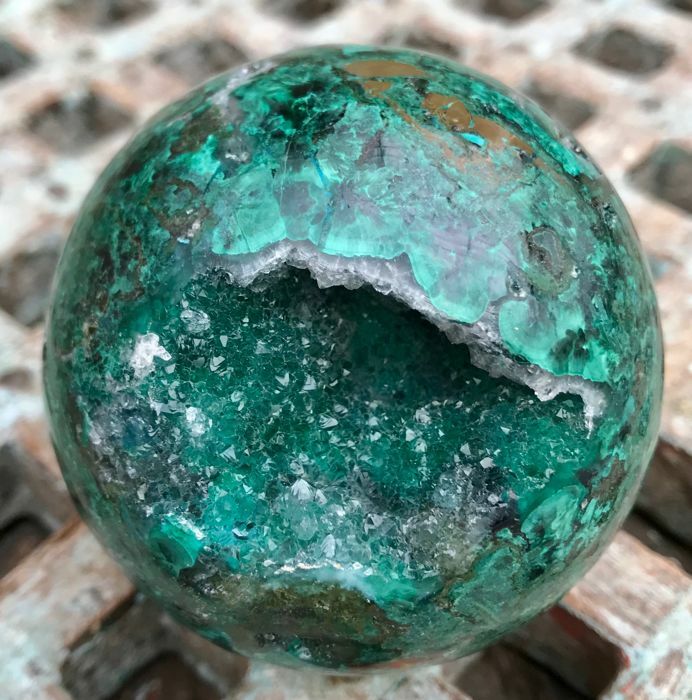 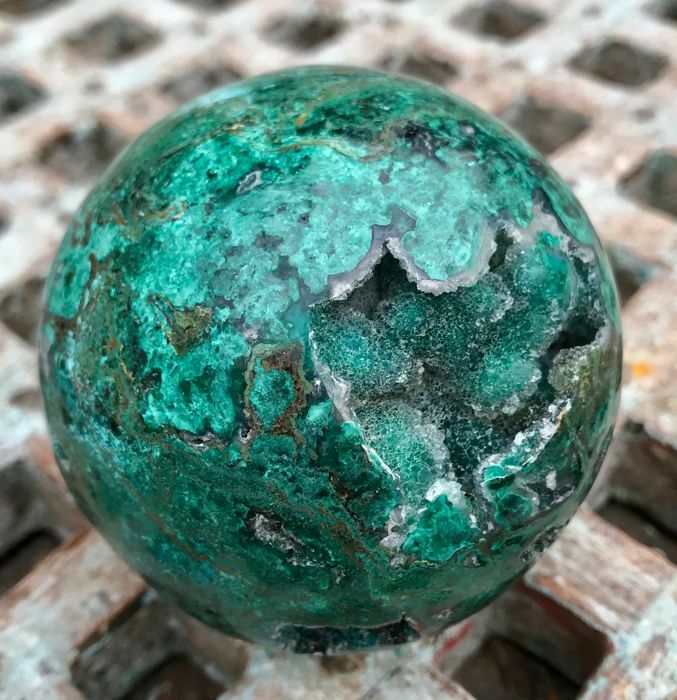 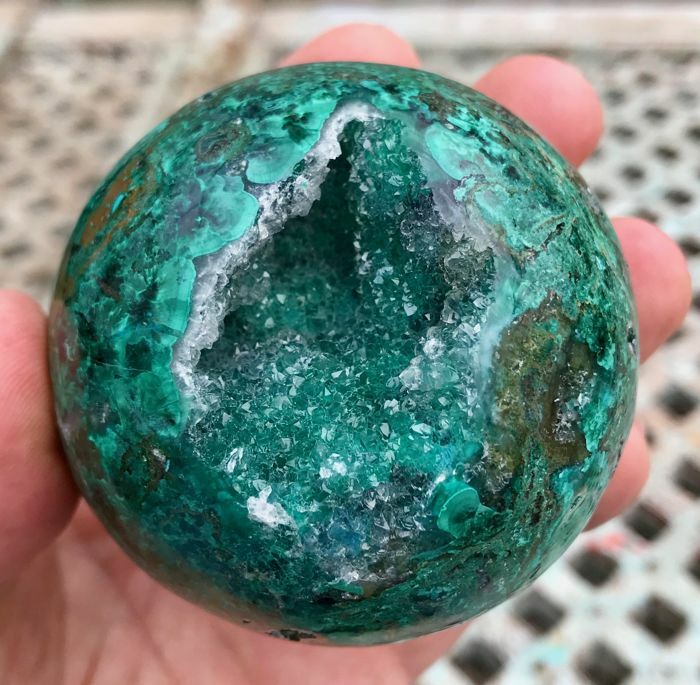 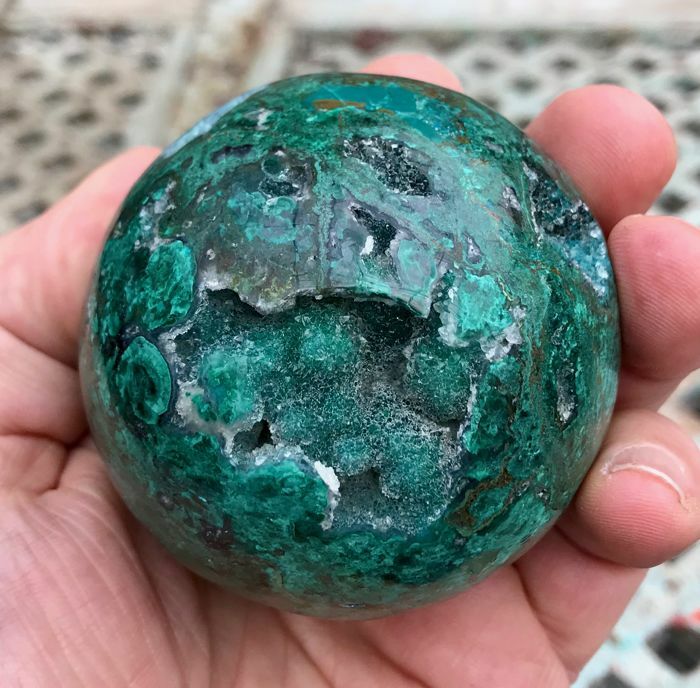 Unique polished sphere of druzy Chrysocolla from Peru. 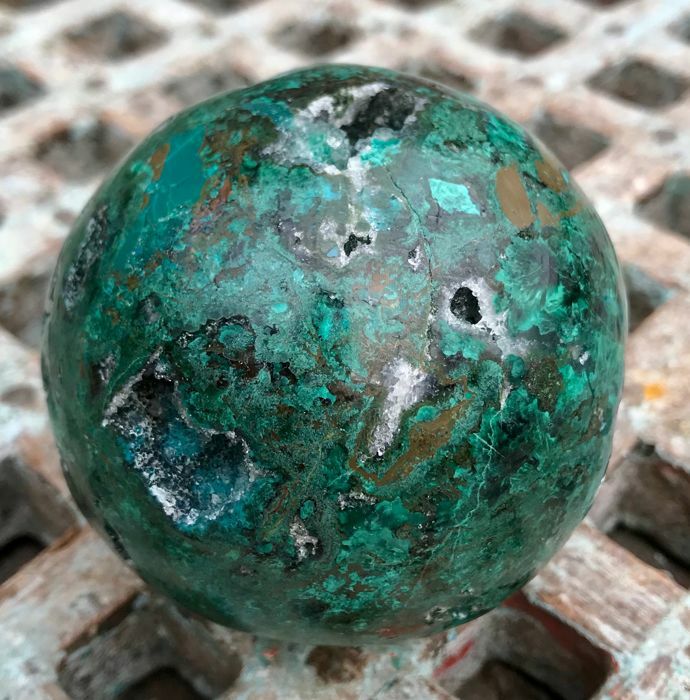 Chrysocolla is the stone of balance that gives energy in times of weakness. 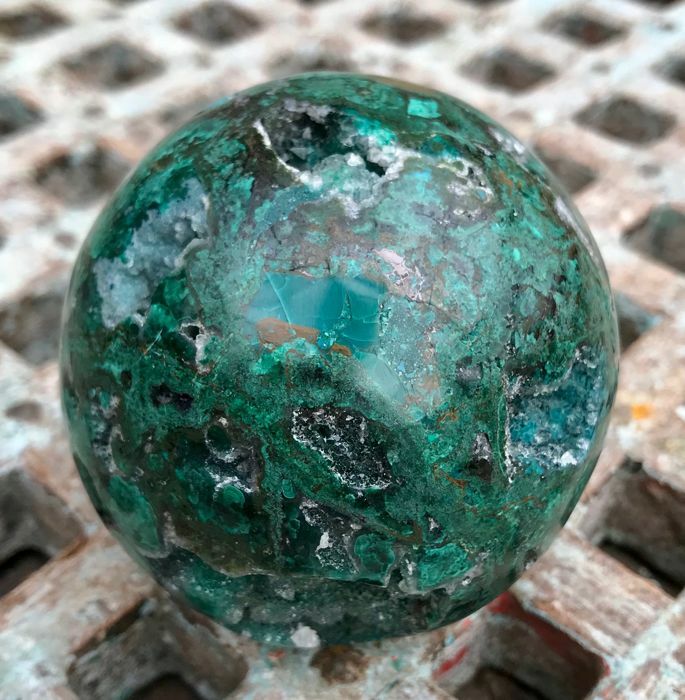 Good for the blood sugar levels and against depression. 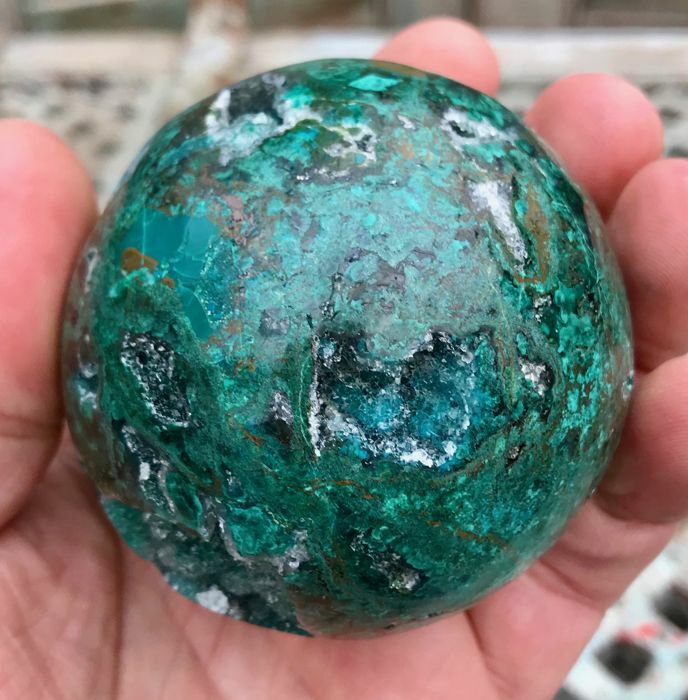 The effect of chrysocolla is enhanced by the presence of the quartz crystals. 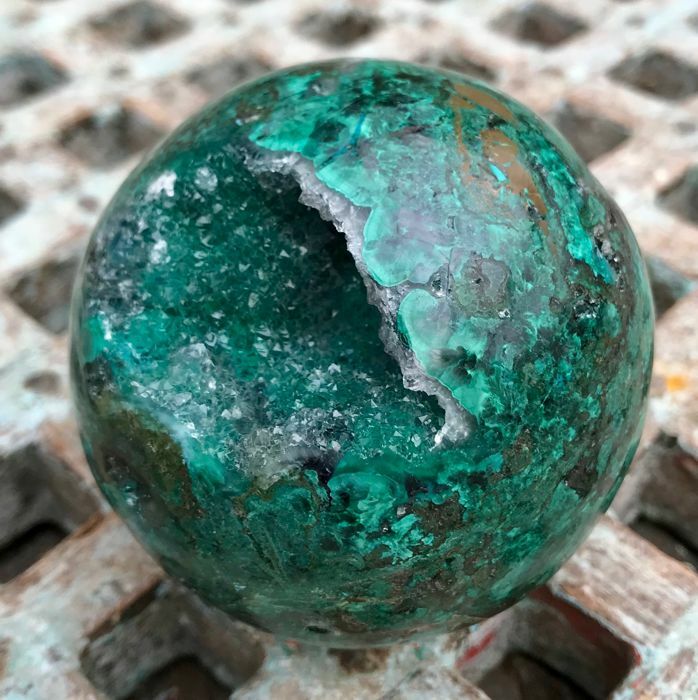 It strengthens the connection with nature and helps to find the silence within yourself and therefore promotes self-reflection, facing the truth within yourself. 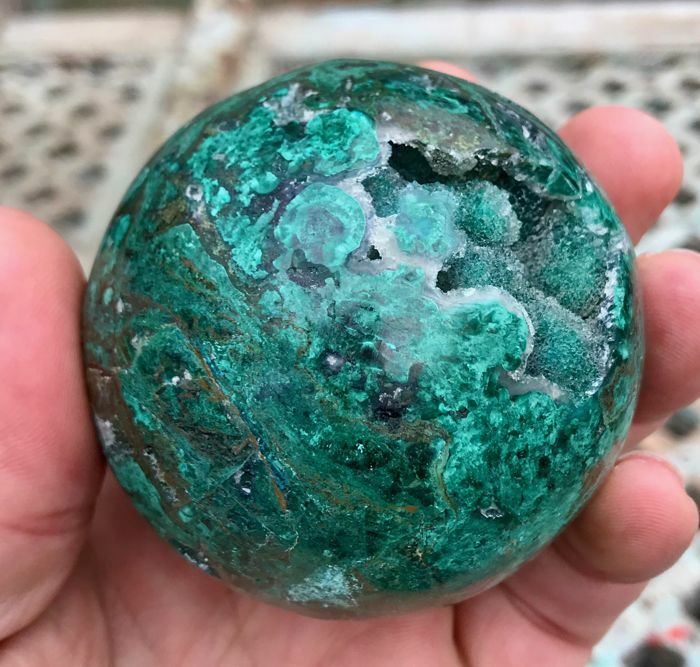 With Cuprite here and there.